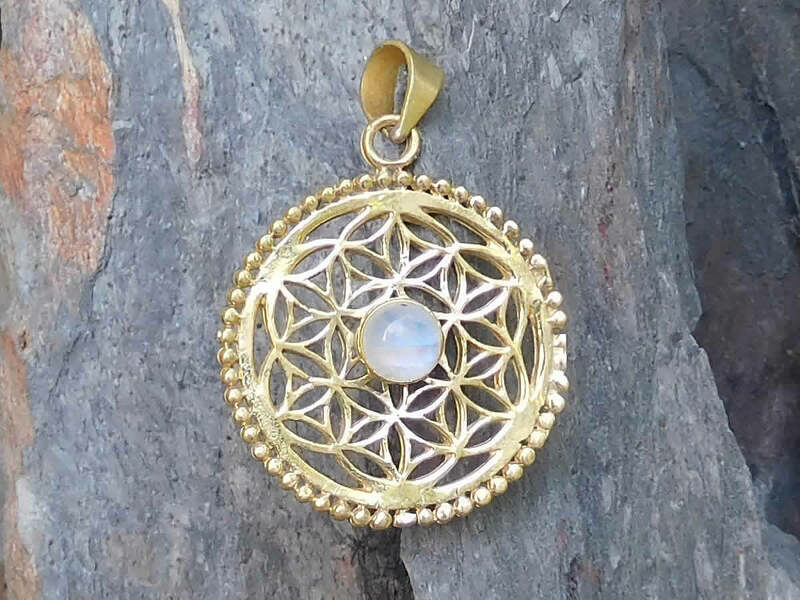 The flower of life is an ancient design represented in this beautiful pendant made from cast, stamped and hand-worked brass with an intricate pattern of interlocking circles and beaded edge. At its centre is a light-reflecting rainbow moonstone. Stone: Natural rainbow moonstone 6mm diameter.